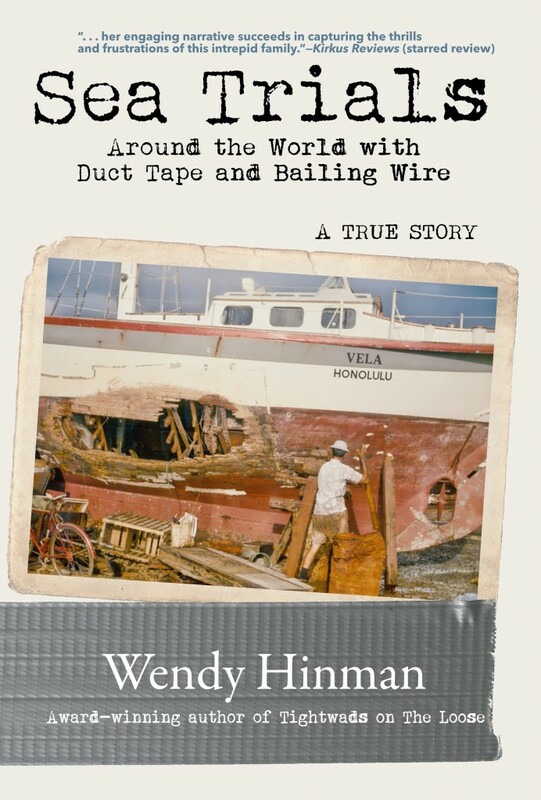 “Sea Trials: Around the World with Duct Tape and Bailing Wire is a real rattlesnake of a tale chronicling the adventures, and misadventures, of the Wilcox family as they sail their way around the world in the early 70s. 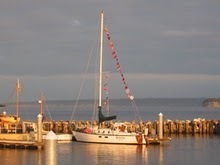 Leaving a comfortable home behind, the family makes their way out of San Francisco Bay aboard their 40-foot wooden sailboat, Vela, bound for Hawaii and all points beyond. And who better to pen the Wilcox’s story than Wendy Hinman, now spouse of Garth Wilcox, who later relived a similar voyage with Garth aboard a 31-footer? Considering her intimate connection, the story of the Wilcox’s circumnavigation surely took form for the author via bits and pieces related by each family member over time – especially by Garth, the one participant for whom the family’s adventure ultimately rang loudest. What results is this fine tale of a close-knit family who chose to challenge the status quo by seeking a lifestyle different from the nine-to-five hum-drum for which so many others trade dreams. 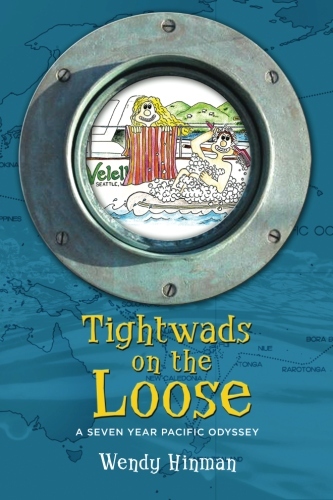 Chuck and Dawn’s disillusionment with their slice of American pie, combined with Chuck’s love of sailing and Dawn’s thirst for experiencing the world firsthand with their two children, Garth and Linda, fueled their sailing adventure. On their way to Hawaii, the voyaging neophytes manage well and gain valuable blue-water experience that they rely upon throughout their rollercoaster-ride around the world. 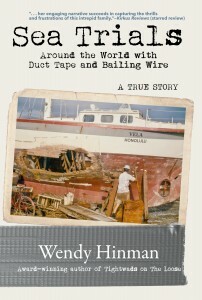 Hinman’s storytelling does well to connect her reader to the family’s journey – the ups and downs of sailing on a big ocean (of which there are plenty), the trials of negotiating unfamiliar cultures across a variety of countries as they follow their route, the confined quality of life for four people aboard a small yacht with only one partially-operating head. The Wilcox’s story is both fulfilling and heartbreaking. One cannot help but become emotionally enthralled by this endeavoring group as they take their knocks and reap the rewards from a life hard-earned in an unforgiving environment. David McDaniel grew up in Florida, swimming and fishing from his family’s Boston Whaler in the warm coastal waters of the Gulf of Mexico. Once surfing grabbed his attention, he learned to sail a Hobie 16, the perfect vehicle for finding surf breaks on secluded barrier islands (and for learning valuable sailing lessons he’s retained to this day). David currently lives in Southern California with his wife, Minyoung, and two stoked children, sharing his love of the water with them. The family races their Sabot and Lido 14 in Marina del Rey and regularly crews on a variety of sailboats as they chase adventures across Santa Monica Bay and points beyond.